Technological Pedagogical Content Knowledge (TPACK) is a theoretical framework that has enjoyed widespread applications as it applies to the integration of technology in the teaching and learning process. This paper reviews the background for TPACK, discusses some of its limitations, and reviews and introduces a new theoretical framework, 21st Century Pedagogical Content Knowledge (21st Century PCK), to clarify the discourse surrounding teaching and learning in an increasingly technological world with specific applications to science teaching and learning. Slough, S. & Chamblee, G. (2017). 21st Century Pedagogical Content Knowledge and Science Teaching and Learning. 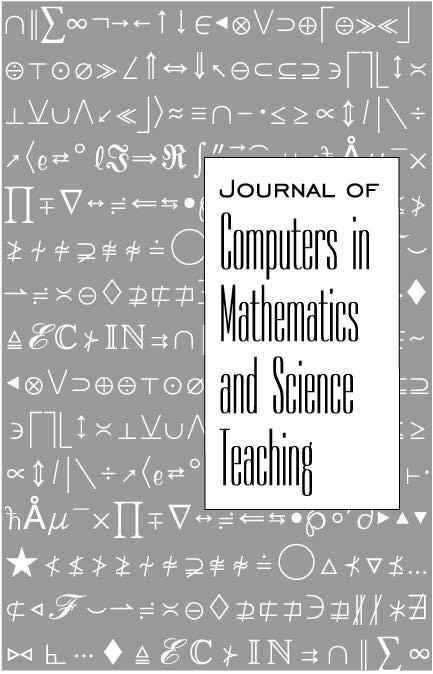 Journal of Computers in Mathematics and Science Teaching, 36 (2), 173-187. Waynesville, NC USA: Association for the Advancement of Computing in Education (AACE). Retrieved April 21, 2019 from https://www.learntechlib.org/primary/p/178275/. Angeli, C., & Valanides, N. (2009). Epistemological and methodological issues for the conceptualization, development, and assessment of ICT–TPCK: advances in technological pedagogical content knowledge (TPCK). Computers& Education, 52, 154–168. Angeli, C., Valanides, N., & Christodoulou, A. (2016). Theoretical Considerations of Technological Pedagogical Content Knowledge. Handbook of Technological Pedagogical Content Knowledge (TPACK) for Educators (2nd ed., pp. 11–33). Archambault, L.M., & Barnett, J.H. (2010). Revisiting technological pedagogical content knowledge: exploring the TPACK framework. Computers& Education, 55, 1656–1662. Bryan, J., & Slough, S.W. (2009). Converging lens simulation design and image predictions. Physics Education, 44, 264-275. Dougherty, D. (2013). The make mindset. In M. Honey& D.E. Kanter (Eds. ), Design, make, play: Growing the next generation of STEM innovators (pp. 7-11). New York, NY: Routledge. Ertmer, P.A. & Ottenbreit-Leftwich, A.T. (2010). Teacher technology change: How knowledge, confidence, beliefs, and culture intersect. Journal of research on Technology in Education, 42(3), 255-284. Guess-Newsome, J. (2002). Pedagogical content knowledge: an introduction and orientation. In J. Gess-Newsome, & N. Lederman (Eds. ), PCK and science education (pp. 3–17). New York, NY: Kluwer Academic Publishers. Graham CR (2011) Theoretical considerations for understanding technological pedagogical content knowledge (TPACK). Computers& Education 57, 1953–1960. Koehler, M.J., Mishra, P. & Yahya, K. (2007). Tracing the development of teacher knowledge in a design seminar: Integrating content, pedagogy and technology. Computers& Education, 49(3), 740-762. Mishra, P., & Koehler, M.J. (2006). Technological Pedagogical Content Knowledge: A Framework For Teacher Knowledge. Teachers College Record, 108(6), 1017. Mishra, P., & Kereluik, K. (2011). What 21st century learning? A review and a synthesis. In M. Koehler& P. Mishra (Eds. ), Proceedings of Society for Information Technology& Teacher Education International Conference 2011 (pp. 3301–3312). Chesapeake, VA: AACE. Oblinger, D., & Oblinger, J. (2005). Is it age or IT: First steps toward understanding the net generation. Educating the net generation, 2(1-2), 20. Retrieved from http://judicialaffairs.tamucc.edu/assets/IsItAge.pdf. Prensky, M. 2001. Digital game–based learning. New York: McGraw–Hill. Retrieved from http://marcprensky.com/chapters/. Shulman, L.S. (1986). Those who understand: Knowledge growth in teaching. Educational Researcher, 15, 4-14. Slough, S.W. (1998). High school science teachers’ perceptions of telecommunications utilizing a concerns-based adoption model (CBAM). Unpublished doctoral dissertation, University of Houston, Houston, Texas, USA. Slough, S.W., & Connell, M. (2006). Defining technogogy and its natural corollary, Technogogical Content Knowledge (TCK). In C. Crawford et al. (Eds. ), Society for technology and teacher education annual 2006 (pp. 10531059). Slough, S.W. & Milam, J. (2008). Theoretical framework for STEM projectbased learning. In R.M. Capraro& S.W. Slough (Eds>), Projectbased learning:An integrated science, technology, engineering, and mathematics (STEM) approach (pp. 19-37). Rotterdam, The Netherlands: Sense Publishing. Slough, S. & Slough, P. (2015). 21st century pedagogical content knowledge. In S. Carliner, C. Fulford& N. Ostashewski (Eds. ), Proceedings of EdMedia: World Conference on Educational Media and Technology 2015 (pp. 12071214). Voogt, J., Erstad, O., Dede, C., & Mishra, P. (2013). Challenges to learning and schooling in the digital networked world of the 21st century. Journal of Computers Assisted Learning, 29¸403-413. Yurdakul, I.K., Odabasi, H.F., Kilicer, K., Coklar, A.N., Birinci, G., Kurt, A.A. (2012). The development, validity and reliability of TPACK-deep: A technological pedagogical content knowledge scale. Computers& Education, 58(3), 964-977.